I’ve been a fan of James Cameron’s film “Aliens” released in 1986 (the sequel to Alien), and I knew this opportunity to see Alien: Covenant, would bring nothing but excitement. 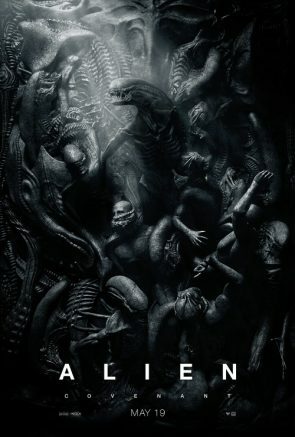 The original film “Alien” was directed by Ridley Scott in 1979 and the backstory was elaborated on in the prequel “Prometheus” in 2012, and is now apart of the upcoming masterpiece Alien: Covenant, in theaters May 19. It’s not required to see the previous movies in order to enjoy Alien: Covenant, but it definitely helps. From my perspective, the film is better and more appreciated after watching prequels such as Aliens and Prometheus. The favorable past settings tied together with present production make it feel like a remastered version of the films. The production and acting was superb as expected and roles were well executed by well known actors you wouldn’t have expected such as actor Danny Mcbride, who is known for his comedic personality. The special effects and gore appeared to be too real but that’s how it works with such an industry progressing as fast as it is. For the audience fiending for action, “Alien: Covenant” could have used more, but the plot makes up for it so pay attention. I feel that this is a film that will have you at the edge of your seat waiting for the next thing to happen and it’s the film that will have you feeling some type of way. “Alien: Covenant” will be in theaters everywhere May 19, and my recommendation is to get online and reserve your seats. 2 Comments on "Upcoming film Alien: Covenant review"
I would love to see more short articles by Joel Whited. So to-the point. The follow up to the Alien series was great. Well done soliciting after the masterpiece; “Aliens”.